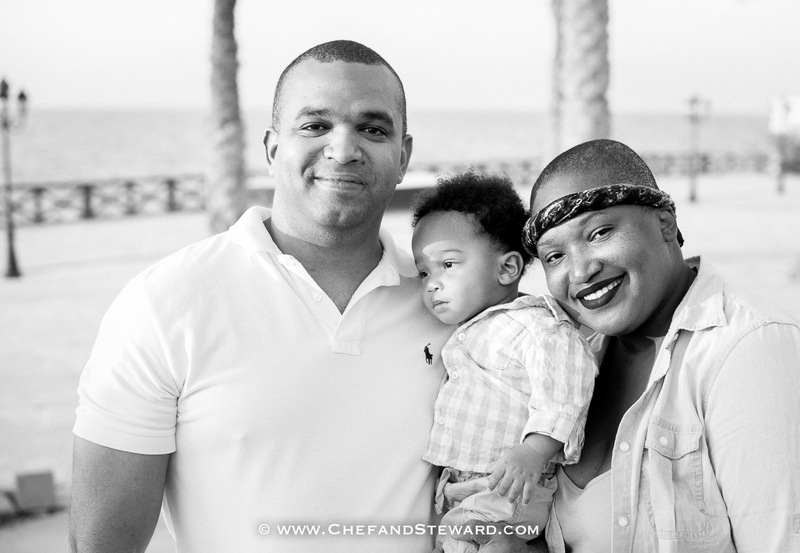 Chef and Steward is a blog devoted to enriching and transforming people’s lives through food, travel, lifestyle and wellness. Here you will find food for your body, mind and spirit. I am Kari Heron, a disciple of Christ, mom to one toddler, 30-something Transformational Speaker, Certified Coach, Strategist and Content Queen on a mission to lead a full, meaningful and pursposeful life and help others do the same. I help others shatter inner glass ceilings in order to become the very gift that we are all created to be to the world. I am one who speaks life and love calling every dormant and dead gift in us to artist! Life is for the living! Life is so bland without good food and good times. As much as I am intrigued by gastronomical delights, I am working on balancing both the kitchen and bathroom scales (ha)! Healthy food can be tasty and tasty food can be healthy. Food is medicine but that doesn’t mean it ought to taste like it. I run a mostly low carb, paleo, keto, gluten free Chef and Steward Test Kitchen at home. Here’s why. This is an award winning blog having won silver for the Best Expat Blog for the entire UAE in 2012 and Best Overseas Jamaican Blog 2013 in the Jamaican Blog Awards. Originally from the beautiful Caribbean island of Jamaica, I am an expat woman who has lived in four countries and two hemispheres. You will see a lot about Dubai and the Middle East and the Caribbean on this blog- particularly Aruba and Jamaica. Subscribe to the blog for a ride on this borderless life journey! For more infö about my coaching programmes, click here. Infinite blessings on your path! What a fabulous idea and exciting collaboration this is. Bring it on! Thanks love. It has taken me over a year to get it off the ground but NOTHING happens before its time. It feels so “right” to me. Noticed that I linked to you for your wonderful written and tasty treats! What can I say the food looks gorgeous. Healthy food should not taste bland, it should be an experience that you always want to have. And with that said when will you guys post some recipes? Thanks Ludlow. I agree, many of us never stay on an eating regime long enough because the food either doesn’t taste good or fill you up. Diets dont work but lifestyle changes do. Will be working on the recipes. Most of the them will be mere guides and not exact measurements. My aim is to get people to cook organically, as in being guided, not controlled by recipes. Food tastes so much better when you modify it to your tastes. You write beautifully and photos are great. Proud of you and happy for you and your husband.. The site is going places girl..it’s got a story to tell and personality! Yvonne, thank you so much! I believe food starts a conversation about so many things and it is a uniter in this multi-cultural world we live in. As busy as we are, we all have to pause and eat and the more aware of what we eat, the better the food tastes and the better it makes us feel! Helps me to stay on track with my eating habits and the fact that I am trying to lose up to 75lbs before the end of this year..
Sonia. I am so with you! I LOVE food. No apologies. I am the daughter of a farmer and a seafood purveyor and the wife of a chef. My ties with food are far and deep. Homeopathic medicine stands on the principle that “What kills you, also cures you.” This is also true for food. Food is not evil by nature, but denatured food is. Cooking our meals is a way of loving ourselves and we transfer all that love to our bodies when we sit for a beautiful, tasty and filling meal! Kari i love your blog!!!!! Keep it up girl……. Thanks so much! When people trained in the industry give their approval, it is a lovely thing! Love the site…perfect combination of your gifts and talents…Love you guys!!!! Thanks… Yup.. thats the best “Jamaican” curry blend! Kari, this website is really good, the pictures of the food make my mouth water, I wish you every success, I will be checking back often. Cleo, thank you so much for your kind words and positive energy! Please do visit as often as you can and continue to share your comments with us! Infinite blessings on your path! Finding this blog is as fantastic as when I found rum & raisin ice cream here in Jakarta. Continue to fly your Jamaican flag high while doing what you love. Until next time….. Thank you ever so much Natalie. You are doing exceptionally well yourself! Will keep the lines open! And maybe we will add a recipe for Chef and Steward’s homemade rum and raisin ice cream at some point so you will never be out! That recipe would be much appreciated. I have never made ice cream before but am willing to give it a shot. Love the pictures! The food looks mouth watering. I can only say WOW. I am inspired by this idea that both of you are undertaking. Will keep checking out your recipes and will try them from time to time. Blessings and Light. Thanks. We are working to make it as tantalizing as we can. It’s a lot of work but it brings us lots of joy. Gibran wrote “Work is love made visible.” This is the joy of our work together. Please try the dishes and come back and tell us about them! How much do I love your blog?! I do believe with your passion for food, family and fun, that is a blog worth reading many times over. Continue to inspire and cook! you make a fabulous couple =) and i love your blog!! got here through foodbuzz…will keep coming back. Even, I am an expat in UAE, so happy to meet another foodie from the same country!! Thanks for visiting my blog. Indeed Kari’s great granpa was great! The Indonesian pronunciation is pretty strict forward “we write what we say” that is why we don’t have a spell bee contest LOL. Btw, I enjoy Caribbean foods, the oxtail stew and sorrel drink 🙂 You should teach me more about Jamaican cuisine. Pepy, we are all connected. We met a lovely Indonesian lady who has invited us over for some Indonesian food. We can’t wait, especially since your blog opened up our appetites so! So you love Jamaican food huh? Cool! We will continue to showcase more of our cuisine from our homeland as we cook from all over the world! Thanks love… there is a story behind this. We went to our Pakistani photog friend Saleem Almas for the photo shoot and he had world cup cricket playing on TV. It was a chore to keep Lij’s attention! I am all excited about your blog. I arrived in Abu Dhabi from Jamaica as an expatriate six weeks ago. I am loving the experience but have not been able to find the right spices to capture the Jamaican flavour in my cooking. I would welcome some suggestions. Keep up the good work. Welcome to the UAE! Will contact you via email to follow up on your question. Really love the blog guys. Keep it up. I wonder who did all the beautiful writing for the site. Kari, Congrats on the nomination for your blog. You’ve got my vote! It’s a bit cumbersome voting but it doesn’t take long so I would encourage others who are voting to stick it out . If Chef and Steward is the only blog you’re voting for then you’ll fine their nomination in the food category, but still need to indicate who you’re voting for in the other categories or that you’re not voting . Vote for Chef and Steward! oh Kari –I saw your videos too! Big up girl… You’re an inspiration. Just love your story, and thru that the name of your blog- Happy Eats! passion and a creative outlet is essential to a marriage. you guys are inspirational. glad i found your blog! Aww. You two are an adorable couple and I agree..Bring the love back in the kitchen! First, you two are simply beautiful. Yes, beautiful to look at, but that is not only what I mean. The light and love inside of the two of you shines bright on my computer screen. Second, AMAZING sight. For 25 years I have been educating myself about food and how it impacts our health. I am passionate about creating healthy comfort foods that and educating others that good, healthy food can be enjoyed. I am going through an unbelievably tragic situation, after an earlier life altering tragedy (losing my son) in ’98. My weight and, consequently my emotions, are spiraling. Last night I asked God (I am not at all religious, but deeply spiritual.) to send me where I needed to go. This morning as I was getting ready to work on my blog, I saw your vanilla recipe and clicked on your blog. Yes, I am being wordy, but I just need you to know that this morning, when I needed you most, you have inspired me. Thank both of you for your beautiful, bright shining light of love. You shared it with me right when I needed it so badly. Thanks you for the award Taylor! It all made that much more sense and one could say…ahhhhh with a smile thanks to the detailed and on point description  Keep it going! Luv it!!! I just found this site today and am so glad I did! I am from a family of Jamaicans who migrated to the United States where we currently live but we maintain ties to JA through music, travel and of course, food. The pictures on this site are absolutely gorgeous and I’m so glad I’ve found you! Thank you we are humbled for the nomination. Yours is an actually award winning blog. I liked everything out here very much. Please keep sharing and I will keep visiting. Thanks for creating this wonderful place. Best wishes. So glad to have found this blog! As the wife of a retired (ha!) chef I love your writing and the way you share the truth with a sense of fun. Your blog is really inspiring, I just started mine and found yours. The reason why I started the blog was because I need to have a creative excuse to spend more time with my (chef) husband, so I ‘demand’ to create this blog together, hopefully this will bring us closer again. I definitely will visit your blog often! just found your blog through the WP News and I think it’s great. Looking forward to following your culinary/expat journey. I wish I had discovered your website sooner as I was in the UAE less than 6 weeks ago. I would have loved to have met you both and sampled some of your delicacies. I’m still maneuvering around your website and loving it so far. It’s Caribbean people like you who have inspired me to start food blogging.